Do you remember the last time a lawyer sent you a referral? How would you like to have that happen every day? 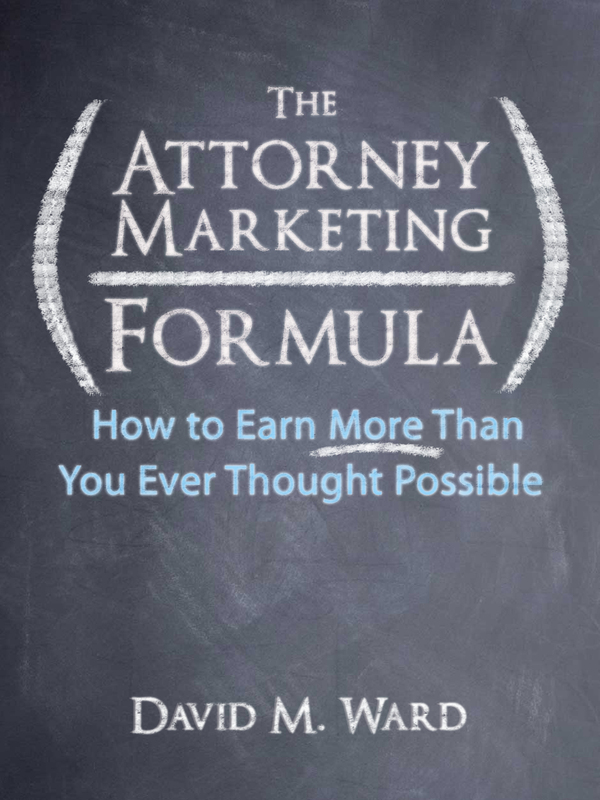 My new marketing course, Lawyer to Lawyer Referrals: How to Get More Referrals From Lawyers and Other Professionals shows you how to get more referrals from the lawyers you know, and how to get more lawyers to become a new referral source for you. 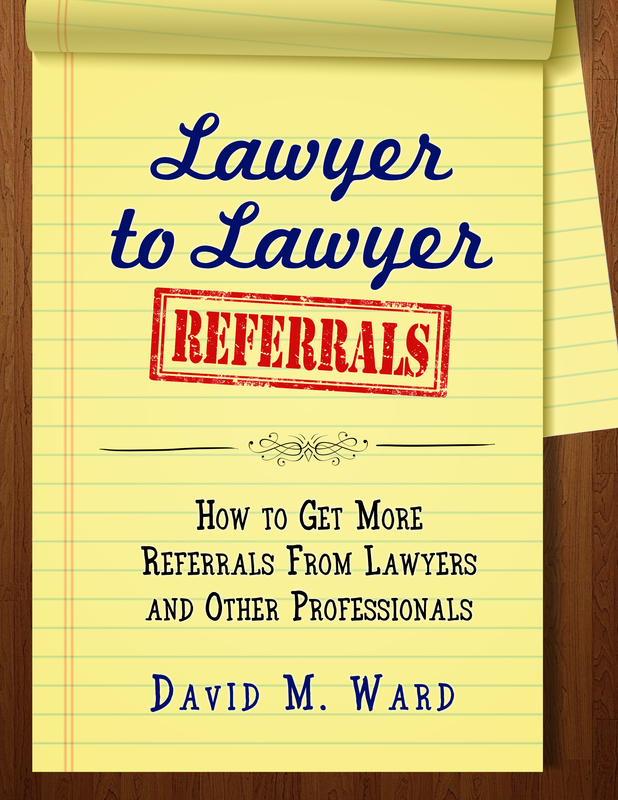 Of course lawyers are potentially one of your best sources of referrals. Sure, your clients may be willing to send you referrals. If they don’t know anyone who needs your services right now, however, there’s not much they can do. But lawyers talk to people with legal issues every day of the week. Unless those lawyers handle “everything,” they can’t help everyone. They can either turn those people away or refer them to other lawyers. Like you. In fact, many lawyers have the ability to send you a steady stream of referrals, month after month, year after year. If you have a systematic method of showing them how you can help their clients and prospects and business contacts. . . But it gets better. Not only will you get more referrals from other lawyers, the clients they send you are often better clients than you typically get through other means such as the Internet or advertising. They’re better because they are pre-screened by the referring lawyer. The lawyer knows if the client is a good match for you and if they can afford to hire you. They can also “sell” the client on you and your abilities, making it less likely that the client will “shop around” and more likely that they will hire you. The referring lawyer can also provide you with pertinent information about the client and their situation, making it easier for you to relate to those clients and do a better job of showing them how you can help them. As a result, referred clients tend to sign up more quickly and with less effort on your part. And referred clients are themselves more likely to provide referrals. 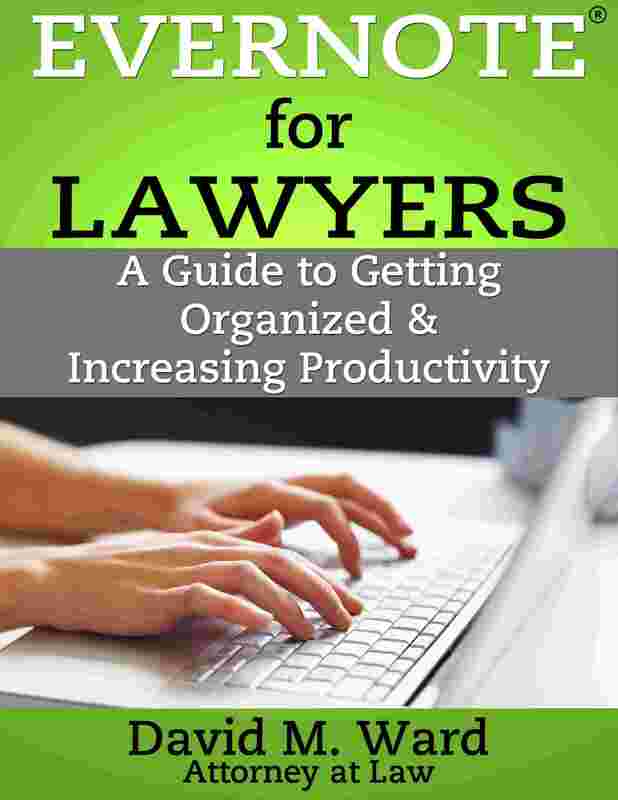 Lawyers get referrals from a lot of sources—clients, prospective clients, business contacts, friends, business owners, and other professionals—but one of the best sources of high quality cases or clients are referrals from other lawyers. One of the best things about this course is that it allows you to “automate” your referral program with a “referral letter” that does most of the work for you. It’s not as simple as mass mailing letters to other lawyers, but it’s close. Have you ever had a lawyer tell you they sent you a referral, but you don’t know what he’s talking about because you never heard from the client? Your referral letter will make sure that doesn’t happen. Lawyer to Lawyer Referrals is the ultimate referral-getting system for any lawyer. It comes with scripts and step-by step instructions and everything else you need to start getting more referrals immediately. You may be wondering if this system will take up a lot of your time. You can get everything set up in a few hours, and then spend as little as 15 minutes a day “working” the system. And you can delegate some or all of the daily activities if you want. The course comes with a Bonus Quick Start Guide to help you get your referral program set up and working. Then, you can use the system over and over again, to get more referrals from the lawyers you know and to get more lawyers and other professionals on your “team”. No matter how many referrals you now get in your practice, you are about to learn how to get more. 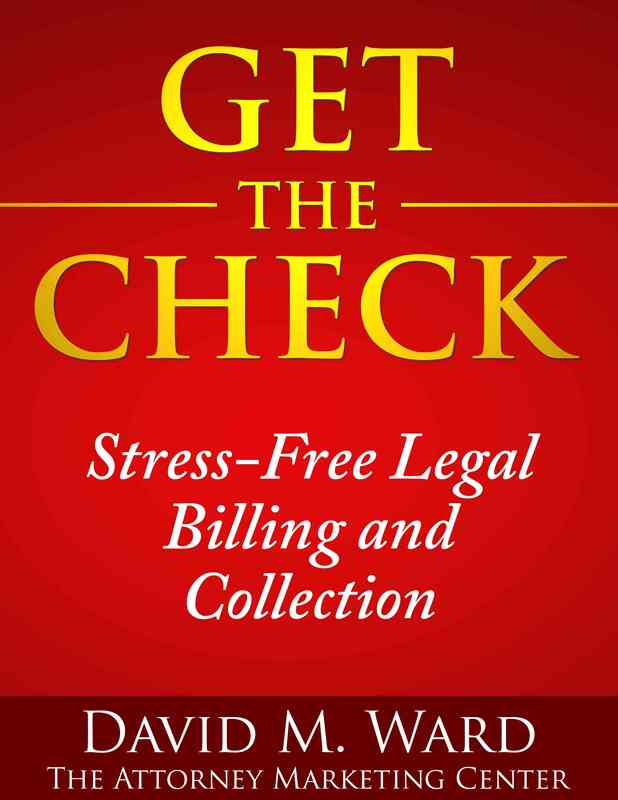 Lawyer to Lawyer Referrals comes in pdf format and is available for immediate download. You can use PayPal or a credit card. Lawyer to Lawyer Referrals is only $79 $59 for a limited time. Click here to order. The Attorney Marketing Center has announced the release of a report that shows attorneys how to quickly get more referrals. 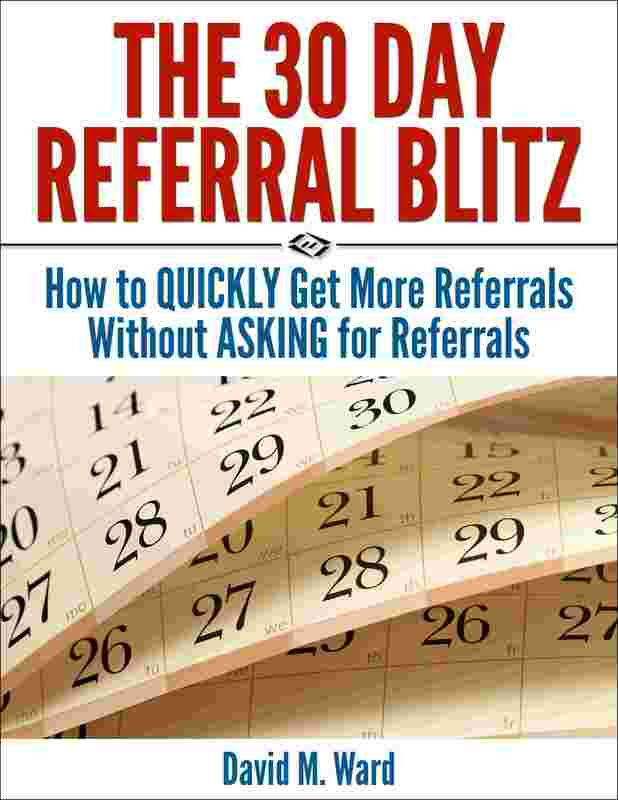 “The 30 Day Referral Blitz” is an expanded and updated version of a report previously available only to author David M. Ward’s consulting clients. 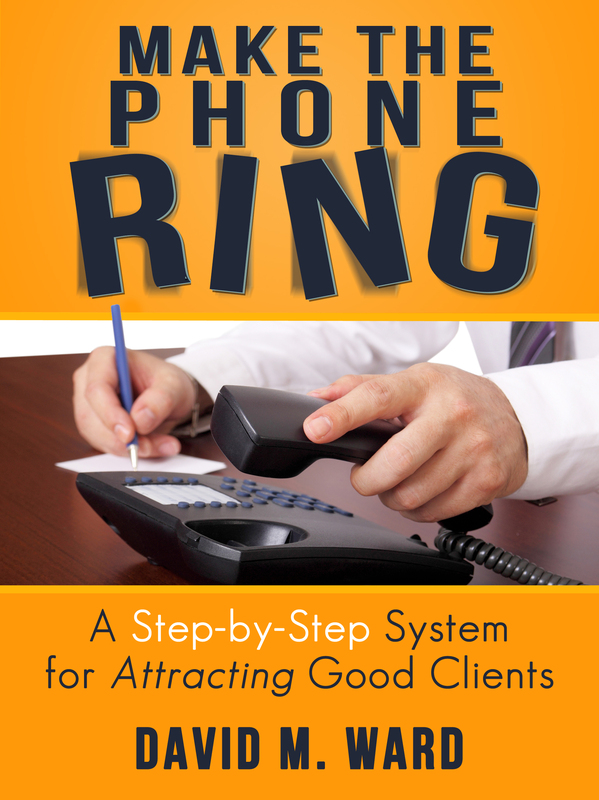 “Lawyers are often told that the way to get more referrals is to ask for them. The problem is, they don’t like asking. The 30 Day Referral Blitz gives them an alternative,” Ward says. Not only does The Blitz show lawyers how to get referrals without asking, it shows them how to do it quickly. “A ‘referral blitz’ is a concentrated burst of activity that takes place over a 30 day period. After a few hours of prep time, The Blitz can be done in as little as 15 minutes a day,” Ward says. The original version of The Blitz was slower and more expensive. It required lawyers to use regular mail and the telephone. The new version takes advantage of the speed and reach of the Internet and email, making it easier, quicker, and more economical. “You can do The Blitz every month, if you want to,” Ward says. The 30 Day Referral Blitz shows lawyers how to get referrals from existing clients, former clients, and other contacts, including professionals and social media connections. For more information, visit The Attorney Marketing Center or this page. Gmail is rolling out a new feature that may make it less likely that you will see my emails. If you have an email list for your clients and prospects, they will be less likely to see YOUR emails. The new feature categorizes incoming emails into “Primary,” “Social,” or “Promotions” tabs. Because I use a commercial autoresponder to deliver my emails, they will automatically be categorized as “Promotions” and lumped together with other “commercial” emails, including advertising. You know, the stuff you don’t read. That means my emails won’t go into your inbox and you may never see them. Your clients won’t be see YOUR emails. This can be avoided by adjusting your settings, once the new feature is active. Simply find one of my emails in “Promotions” and drag it into “Primary”. A pop-up will appear and ask you if you want to do this for all future messages. Click “Yes”. That’s it. Now, my emails will appear in your inbox. If you want to completely remove these new tabs, go to the Settings box in the upper right hand corner of your inbox and select “Settings.” Click on the “Inbox” tab and unselect all categories but “Primary” (remember to save your changes). That’s what I’ve done for my account. Don’t like all those tabs crowding my space. Seems like more work for me, not less. Anyway, once you’ve done this, make sure you notify your lists to do the same. Many people use Gmail. As much as 50% of your list, by some estimates. If they don’t make this change, they won’t see your emails, and that’s not good for them or you. I was interviewed recently for The Productive Life Show, a podcast hosted by Andy Traub and Daniel Gold. We talked about productivity, Evernote, and GTD (Getting Things Done). You can listen to the podcast, download the audio, and read a transcript here. During the show, I mentioned that I also use Workflowy, primarily for outlining. I said I hoped it would someday allow links to be clickable so that it would integrate better with Evernote (and other apps). I was just notified that this is possible, although I’m not sure when it became so. Of course you can also link to websites or other cloud based apps. This opens up all kinds of possibilities. I’ll do a in depth post about Workflowy at a later date. I had a lot of fun on the podcast and want to thank Andy and Dan for inviting me. I’d love to get your feedback about the podcast or any questions you might have about the subjects discussed.